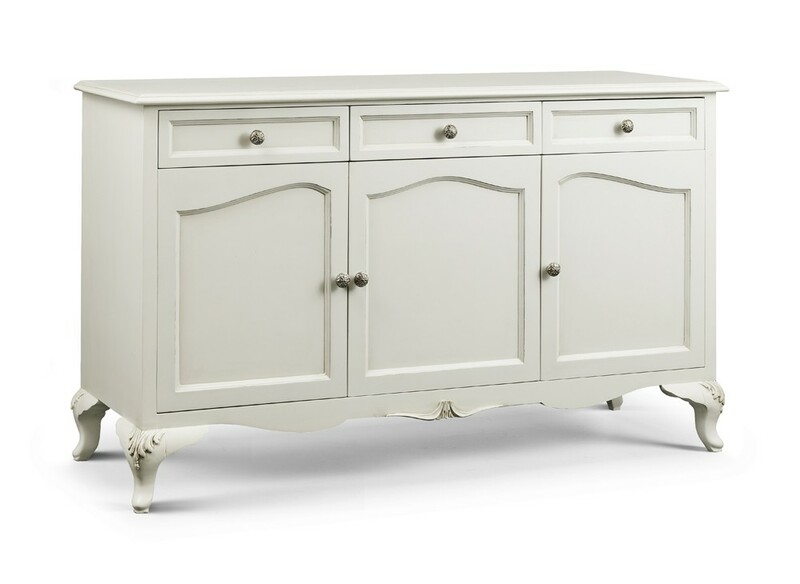 Hand crafted from luxurious Beech wood, this piece shows our Beaulieu style on a grander eye-catching scale, as an iconic French style sideboard it accentuates neutral colour schemes and meshes splendidly with other light furnishings to bring a bright radiance to any room. 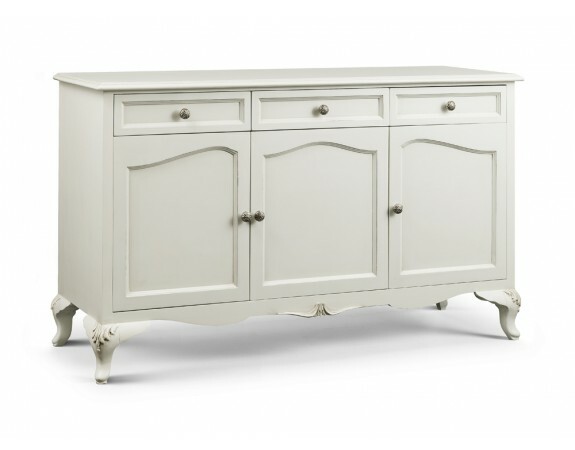 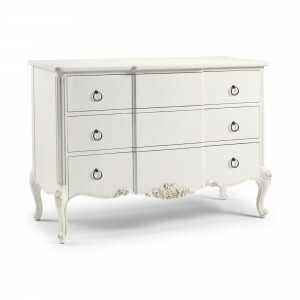 It boasts a great storage space with three cupboards and three drawers all subtly embellished with stylish metal handles to add a gleam to the antique white finish. 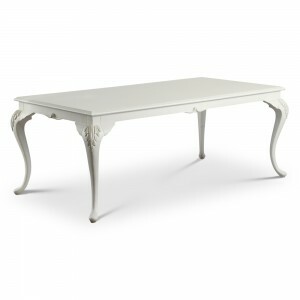 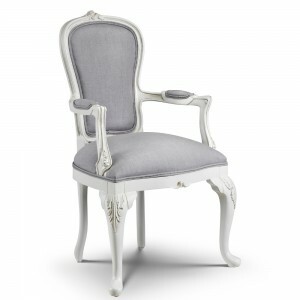 With small legs intricately carved and slender curves along the base it stands out as a beautiful addition to any home with a practicality to match.